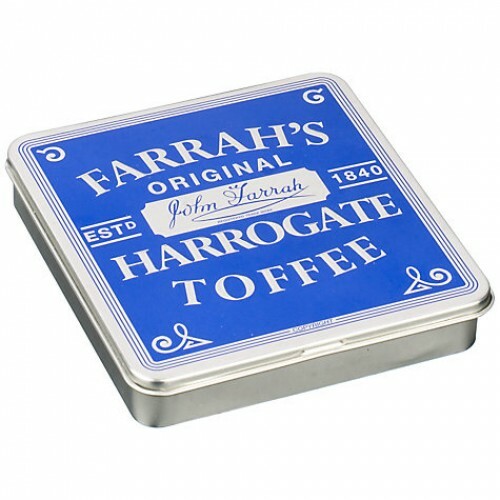 Enjoyed by the likes of the Royal Family, now you can sample the delights of the original Harrogate Toffee. Presented in their trademark blue and silver embossed tin, it's blended from butter and 3 types of sugar for a gorgeously creamy texture and taste, with just a hint of zesty lemon to cleanse the palate. 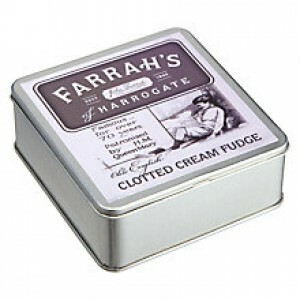 Originally established in 1840 by John Farrah. The toffee is still made in copper pans, in Harrogate, north Yorkshire. Gluten Free and suitable for vegetarians.